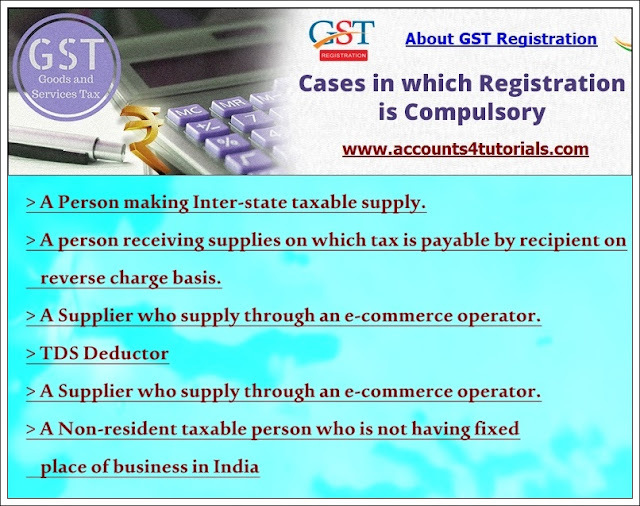 Home GST compulsory gst registration ? The following categories of persons, irrespective of turnover, are required to take compulsory registration under GST. A Person making Inter-state taxable supply.